Many companies are looking for innovative ways to increase benefit offerings, improve employee health, and decrease health plan costs at the same time. One solution gaining popularity among US employers is biometric screenings. According to the Willis 2014 Health & Productivity Survey, 74% of US employers include a biometric screening as part of their workplace wellness programs. If you're one of the 26% NOT leveraging the amazing benefits of biometric screenings, you're missing out. According to the CDC, a biometric health screening is defined as "the measurement of physical characteristics such as height, weight, body mass index, blood pressure, blood cholesterol, blood glucose, and aerobic fitness tests that can be taken at the work site and used as part of a workplace health assessment to benchmark and evaluate changes in employee health status over time." A typical biometric screening will be conducted by a nurse or phlebotomist and should always include a fasting intravenous blood draw. Some screening providers try and sell the finger-stick method for cost and convenience reasons, but studies show that the results are often inconsistent and unreliable. If you're serious about results, health care professionals will always recommend the intravenous method. IMPORTANT: Screening results and identifiable health data are always protected by HIPAA laws and will never be shared with anyone without personal consent. Why should your company invest in biometric screenings? Biometric health screenings should be considered the starting point for any company seeking to reduce health plan costs as they provide an accurate baseline analysis regarding the current health status of the entire group. Without them, it's almost impossible to design a health and wellness strategy that will work. 75% of health care costs are attributed to chronic conditions that are preventable. Heart disease, for example, can be prevented with proper diet and exercise. In addition, early identification of certain risk factors, such as high cholesterol or blood pressure, can prevent larger problems down the road. This is where biometric screenings are most beneficial. A regular assessment of an individual's health can provide valuable insight on current and potential medical issues, their risk for chronic preventable diseases such as diabetes, heart disease, and hypertension, and can identify strategies for improved health and well-being. Research shows that biometric health screenings can reduce health plan costs by identifying risk factors and at-risk employees that need medical attention. These assessments provide employers with important information that helps to shape the direction of their internal health and wellness initiatives. While most of the time individual results are de-identified to the employer, a third party provider covered by HIPAA can access the data and potentially engage each individual as needed. As amazing as biometric screenings are, they only work if employees and their spouses actually participate. That being said, the worst thing an organization can do is try to impose their will on the matter. No employee likes being forced into something, especially if it involves their personal lives. Additional, federal regulations make it extremely difficult, if not impossible, to implement mandatory participation. The solution? Incentives. By utilizing incentives, employers can increase the number of screening participants and thereby achieve a more complete picture of the health and risk of their workforce. Incentives can range from cash, prizes, and PTO, to health plan discounts like lower deductibles or premium contributions. When deciding on incentives, keep in mind that the entire program is designed to provide an ROI, so consider all financial benefits of the screening itself before ballooning the incentive program too much. The results are in! Now what? Even though 74% of companies provide biometric health screenings to their employees, only a fraction of them engage and take action once they receive the results. The reason for this is two-fold: First, consistently motivating employees toward change requires more time, effort, and money than most companies are willing to give. Second, because the majority of the employees likely all see different medical providers, implementing a consistent and effective disease management program would be nearly impossible. The first step toward higher levels of post-screening engagement is to hire a vendor that specifically designs their work flow around assessing and engaging employees. Most do not as it is much easier for them to simply show up, draw blood, and provide a report on the results. Unfortunately that's not enough to provide you with an ROI. An elite screening vendor will excel in not only reporting biometric results, but also stratifying and engaging the at-risk employees via phone, mail, and text. Click here to see how onsite clinic vendors can help you assess, stratify, and engage your workforce. 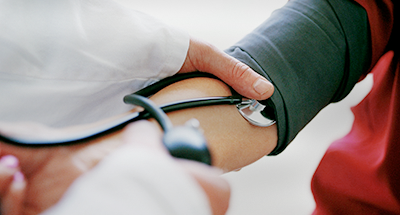 Providing biometric health screenings to employees is a great way to start when looking to improve the health of a workforce and lower health plan costs. When done well, they provide awareness and direction for employers looking to engage in a culture of improved health. Does your company utilize biometric screenings? Has it been effective?